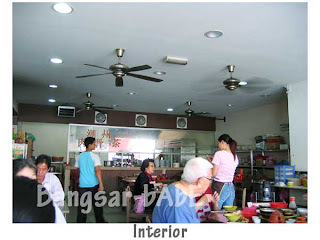 Shum and I had lunch at Teo Chew Bak Kut Teh, SS2 last Friday. We wanted to go to Mungo Jerry but it only opens at night. Ordered a pot of Bak Kut Teh for 2 pax with spare ribs, pork belly & mushrooms and a bowl of yau char kwai. 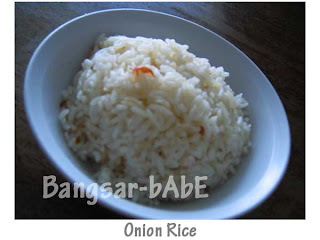 Shum had the onion rice while I tried the yam rice. 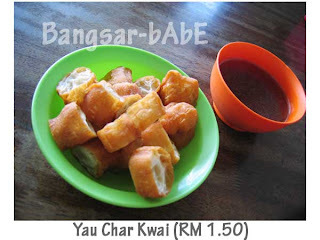 The yau char kwai was not crunchy enough and did not absorb the soup well. 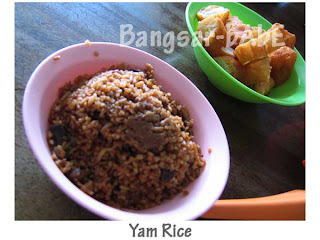 I liked the sticky texture of my yam rice. 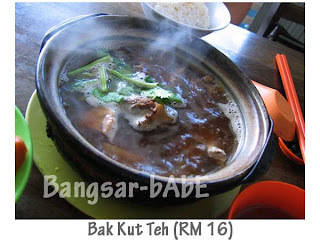 The Bak Kut Teh was very mild and lacking in taste. There was not enough “kau-ness” which was a letdown, as we both love thick BKT broth. The pork meat was very light in colour, unlike the glorious dark brown usually found in BKT. 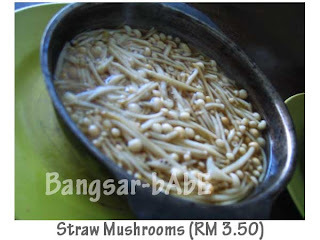 We requested for straw mushrooms in the BKT but they forgot about it. So we ordered a separate bowl of it. It was tasteless. NOT NICE AT ALL. Order this at your own peril. Lunch came up to RM 24.70 inclusive of two cups of Chinese tea. We find it expensive for something so mediocre. We were very disappointed with our lunch. Don’t think we’ll come back again. Lunches last week were awfully disappointing. Gah!! 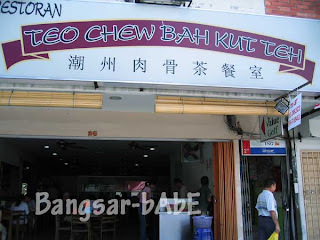 Verdict: Come here if you like mild BKT. Otherwise, you’re better off going to Klang or Jalan Ipoh! i heard that line many times before….